On Friday July 31st, we will have the privilege of a very special ceremony by a very special guest. Jake Charles of the First Nation of the Chippewas of Georgina Island will be performing the traditional sweat lodge ceremony at Bare Oaks Family Naturist Park. 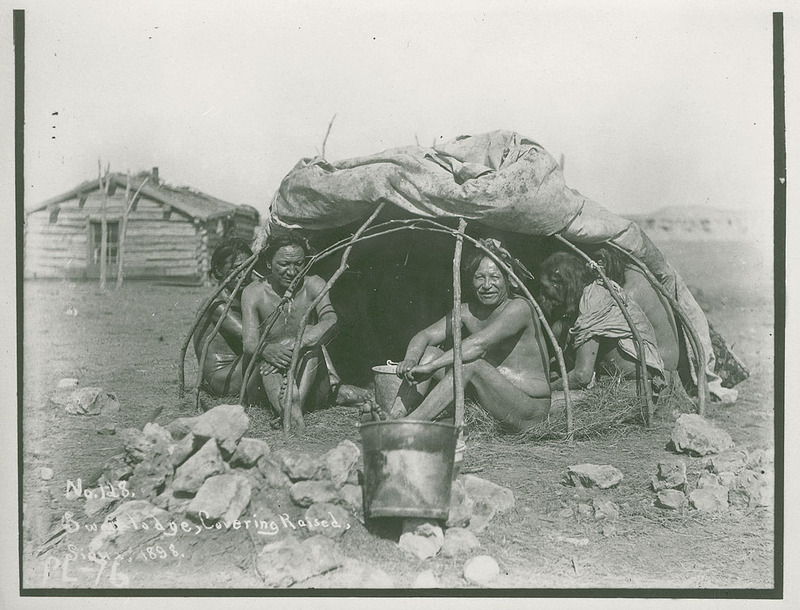 Traditionally, the First Nations people had no shame about their bodies and truly lived in harmony with nature. Their culture was very much in keeping with naturist ideals. We believe that by holding this traditional sweat lodge ceremony in a naturist environment it will make the experience even more authentic. The Sweat Lodge is a sacred place where First Nations People go to pray and gain spiritual healing. It is a way to connect to spirits and ask for guidance in life. Resembling a sauna, stones are heated in a special fire just outside the lodge. To help gain access to answers of the participants questions, songs are sung on a drum and medicines are burnt. The ceremony of the Sweat Lodge has lead to a positive and progressive lifestyle and encourages positive thinking and well being. The sweat will be held at dusk and it will probably last about an hour (for beginners). It is not recommended for any individual with high blood pressure. There will be a smudge outside of the lodge and then the only medicine used within is cedar. If a person becomes too uncomfortable, they are free to leave at any time. Participants should drink lots of water that day and not to eat a large meal before (small meal/snack an hour before). The cost is $35 per person and limited to 10 people so reservations are required. Please speak to Kim at the office. From Tales of 1001 Arabian nights. Forty-year-old Michael returns home to help his mother who is struggling with memory loss. Over the course of a morning, Michael sees her through the eyes of another and learns that there's a side to her he didn't know. John dies unexpectedly, only to discover that his bucket list in life is a rolodex of missed opportunities. Perhaps he can get a second chance? This theatrical gem of a comedy is written by Canada's most prolific and produced playwrights. How many cigarettes is enough - 1, 2, 3 . . . 10,000? Four sisters face big questions in this fast paced, imaginative, funny and moving play. English aristocrats find themselves suddenly penniless and facing eviction from their ancestral home. Enter a Canadian entrepreneur who gives them hope. Managing Bare Oaks Family Naturist Park is a substantial task. You have to look after members, visitors, staff, and all facets of operations. You need to know a little bit about everything because you are responsible for coordinating the implementation of it all. The manager deals with all the fields that we are involved in such as hospitality, retail, food-service, grounds-keeping, transportation, waterworks, sewage treatment, electrical distribution, telecommunications, etc... It really is the proverbial jack of all trades and master of none! Nikki has done a fabulous job as manager since she took over. But those who know Nikki know that she is also a fabulous Yoga instructor. She is very empathetic and loves to help people. So last winter, Nikki decided that she does not enjoy the operational side of her job at Bare Oaks and would prefer to focus on Yoga and other forms of holistic wellness. But because she loves the park, she also offered to continue through the summer and train her replacement. LeeAnne started with us in March and has been learning all aspects of the business of running a naturist park. She has been slowly transitioning into the manager position since her arrival. Nikki will continue working with her through the summer and early fall so the changeover should be relatively smooth. So far, LeeAnne has shown herself to be a quick learner who doesn't shy away from responsibility. Her background working in a laboratory means that she has a solid understanding of process and procedure. She is definitely committed to the job having moved her whole family from Markdale, Ontario in order to take the position. We look forward seeing her grow into the job – in more ways than one since she and Andrew are expecting their third child! Photo: LeeAnne at the steering wheel and Nikki holding the clipboard. You can sing, dance, play an instrument, juggle, or anything else you think others will appreciate. The audience will vote for their favourite act who will win the Bare Oaks' Got Talent trophy. Performers: there will be a live band available to accompany you if you want. They have a number of tunes that they already know. There is a list here. But you can also ask them to play something else – send an email with the details of what you want to GotTalent@BareOaks.ca or talk to Nikki in the office. The show will start at 7pm outside the Bare Bistro but will move indoors if the weather is inclement.